Yellow is for Air and the East, dawn and spring. A yellow candle is placed at the three o'clock position. Air represents life itself, logic, the mind, communication, health, new beginnings, travel, learning, yang and the male god in the form of Sky deities. It is a good element to invoke if you are seeking change or when communication is proving difficult with either an individual or an organisation, and to clear stagnation of thoughts. 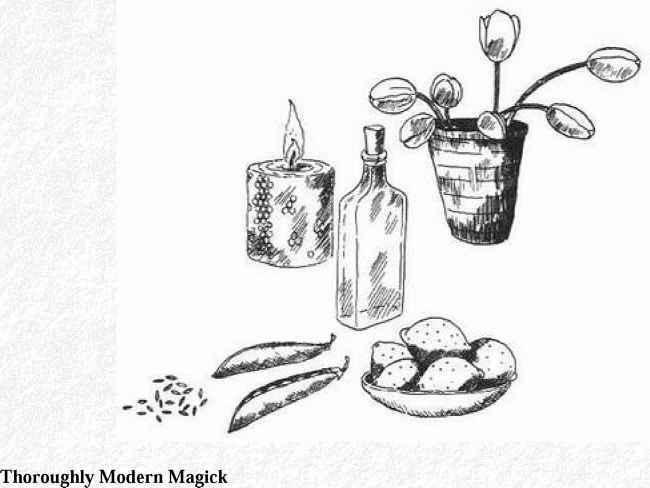 It is also a focus for spells against air pollution, technological devastation and storms, and for the protection of birds, butterflies and insects. Surround your Air candles with feathers, thistledown, tiny helium balloons, model planes and ceramic or wooden birds.